Publisher may include a second analog stick and distance itself from 3D. Shocking news this morning from video game website 01Net. According to an employee within Nintendo Japan (who remains anonymous, of course), the company is hard at work designing a $10 analog stick peripheral for the current 3DS. What's more, the publisher has contacted third parties requesting video games compatible with a second analog stick. Apparently, 3DS was rushed to market to beat Sony's PlayStation Vita. This, apparently, explains why the handheld has just one circle pad. Third parties, meanwhile, expressed frustration at Nintendo's lengthy approval process, as well as a shortage of 3DS dev kits. Nintendo only makes 300 per month. Perhaps you should hold off buying a 3DS, at least until 2012. Here's where it gets even juicier. 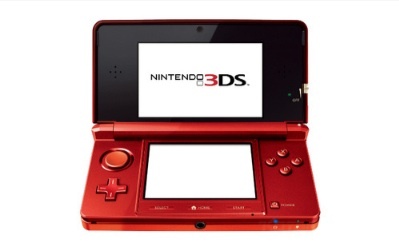 Supposedly, Nintendo will release a redesigned 3DS sometime in 2012. The website's source said the recent price cut came about to move current inventory to make way for the new model. That said, Nintendo may re-brand 3DS, distancing itself from glasses free 3D since it failed to convince parents to buy the machine for their kids following reports of users suffering eye strain. Keep in mind that, for now, we cannot confirm this report. With this in mind, 01Net did successfully reveal the specs for Wii U and PlayStation Vita before this info was officially announced. We'll post more details as soon as they become available.